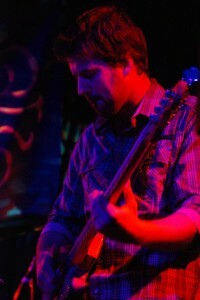 Dylan has toured the world as a professional bassist, performing and recording with a wide range of artists and styles. Born and raised in the Los Angeles area he began at a young age, encouraged by his guitar playing father, first on piano at age 9. He then picked up the electric bass at age 11 and was playing the upright bass by age 13. Dylan has played with such acts as Alex Band (The Calling), 16 Frames, Automatic Loveletter, Save Ferris, Christopher Uckermann (RBD), Pee Wee (Kumbia Kings), and many more.